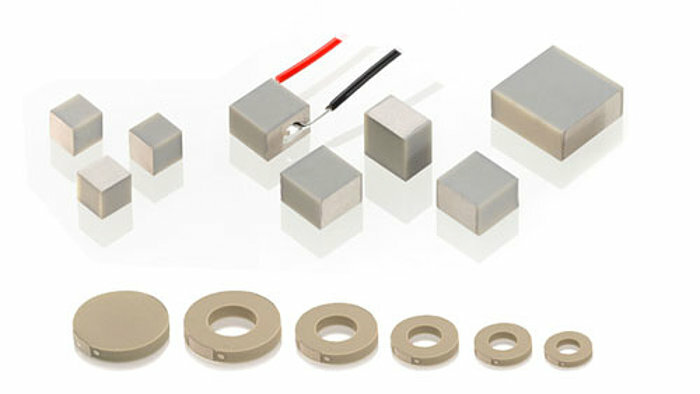 Piezoelectric translators (transducers) are precision ceramic actuators which convert electrical energy directly into linear motion with high speed, force and virtually unlimited resolution. 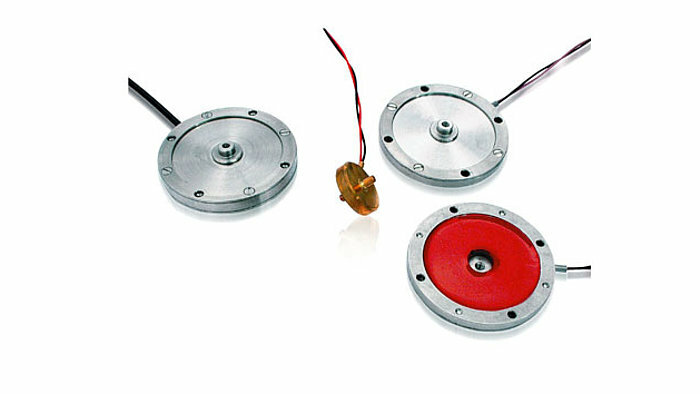 These actuators are used in every modern high tech field from semiconductor test & inspection to super-resolution microscopy, bio-nanotechnology and astronomy/aerospace technology. 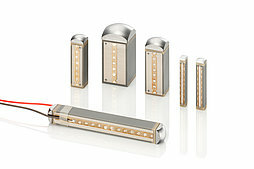 Read article on reliability in industrial / space applications. 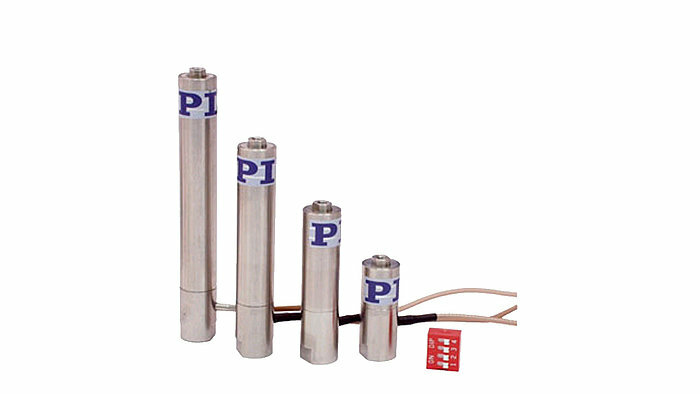 Different Types of Piezo Acutators/Motors: PI provides many different types of piezo actuators and motors: from stack actuators to flexure guided, motion amplified assemblies; from stick-slip mini motor stages to high speed ultrasonic motors for linear and rotary motion. 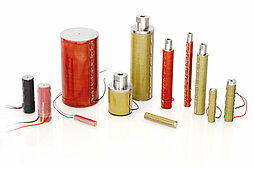 But also tubes, benders, shear actuators and flexible transducers, are available. It is important to understand the principles to pick the best type for an application. 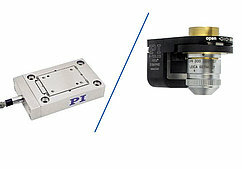 For more information on the differences between piezo motors and actuators and their applications watch the video below, refer to the piezo motion tutorial or just contact a PI applications engineer for help. 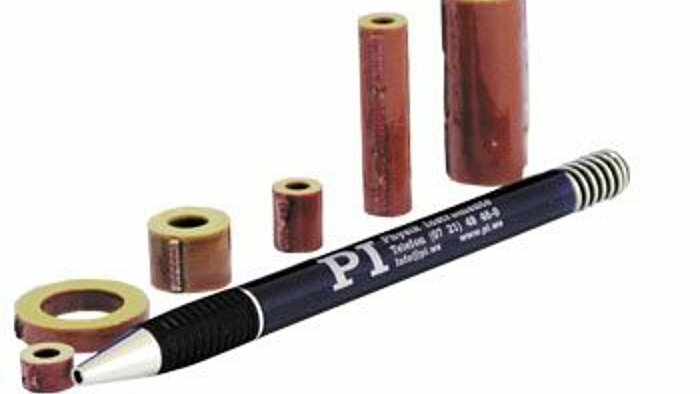 High Curie / Operating Temperatures: PI's piezo ceramic formulation boasts a high Curie temperature for a wide operating temperature range. 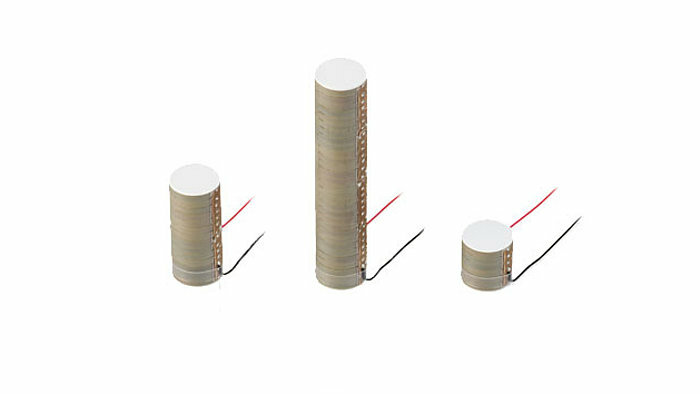 PI's discrete actuators and the PICMA cofired stacks are available for operating temperatures up to 200 deg C.
PI's award-winning and MARS-Rover-Proven PICMA® ceramic-encapsulated co-fired piezo stacks are polymer-free and combine superior performance with extremely long lifetime. 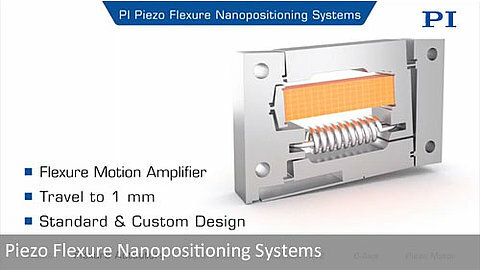 PI's piezo ceramic design and manufacturing division - PI Ceramic - provides the capability and flexibility to offer highly engineered custom sub-assemblies at a very attractive price. PICMA® actuators are space qualified and were submittet 100 billion cycles of life testing at NASA's JPL. 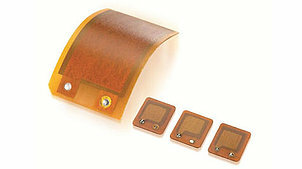 Additional piezo life testing results are available for download here. 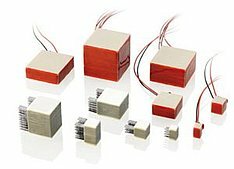 Flexure-guided and motion-amplified piezo ceramic actuators provide longer displacement ranges compared to piezo stacks in a more compact package. 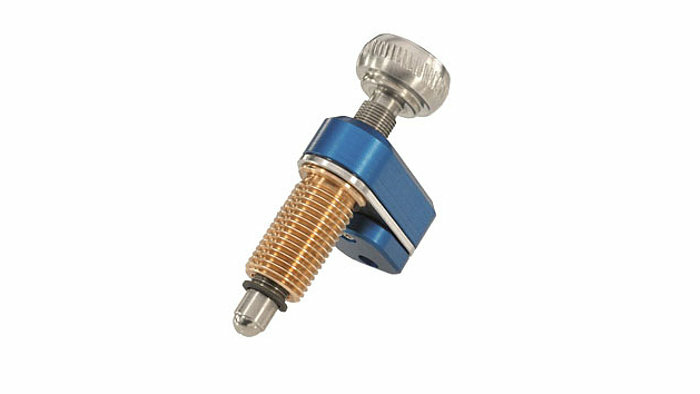 They are designed with protective preloads and several types of integrated flexure-guiding mechanisms are feasible depending on the guiding precision required in the application. 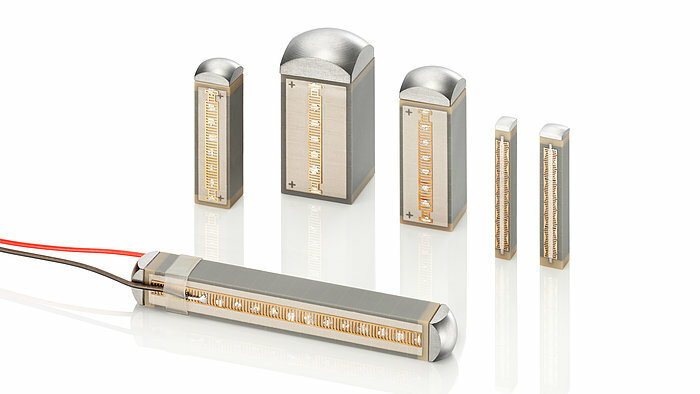 PI provides a large variety of standard and custom designs. 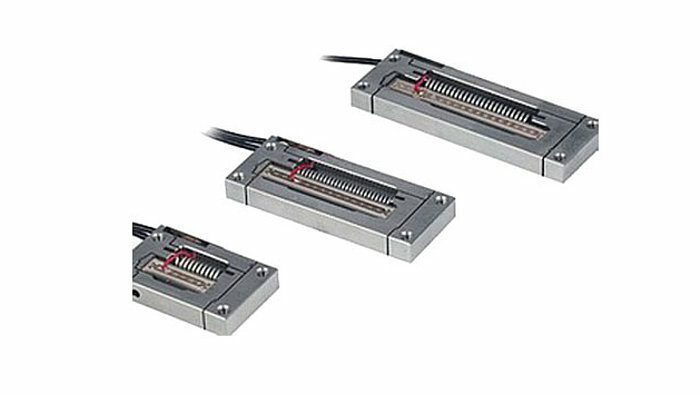 These flexure actuators are driven by PI’s ultra-reliable cofired PICMA® piezo stacks. PICMA® actuators have been tested by NASA/JPL running 100 billion cycles with no failures. Custom flexure actuator designs with larger travel ranges, higher forces or faster response, as well as non-magnetic versions are feasible. 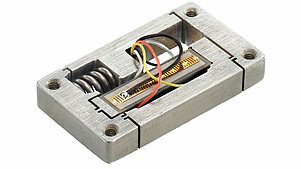 Applications: Flexure actuators are ideal for OEM applications in biotechnology, nano-dispensing, microfluidics, valve control, fast switching and nanopositioning, optics, medical-devices, life-sciences. 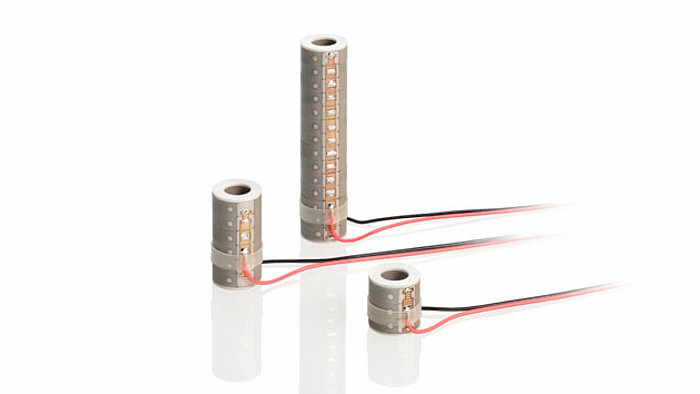 These encased piezo actuators are driven by cofired multilayer PICMA® piezo stacks. 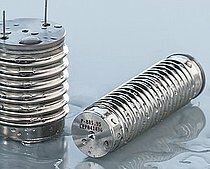 PICMA® piezo stacks are extremely reliable and survived 100 billion cycles of life-testing and harsh environments in space and on the Mars Rover with no failures. 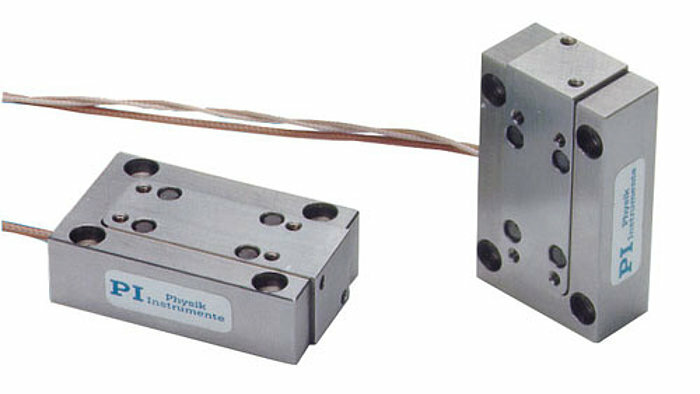 Preloading a piezo stack inside a case by means of special springs allows the actuator to handle higher tensile forces. 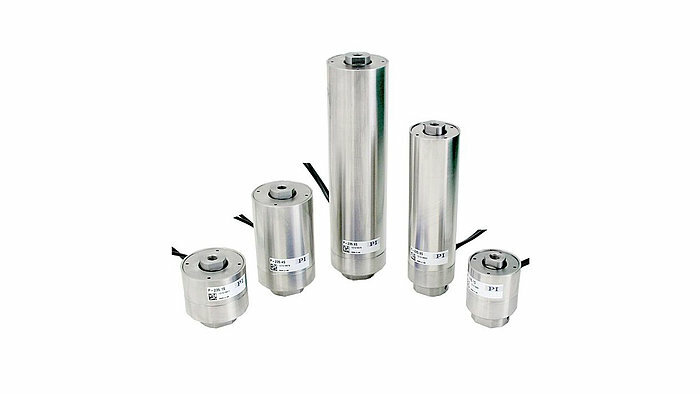 Hermetically sealed actuators with inert gas filling can be used in harsh environments. Custom actuator designs with larger travel ranges, higher forces or faster response, as well as non-magnetic versions are feasible. 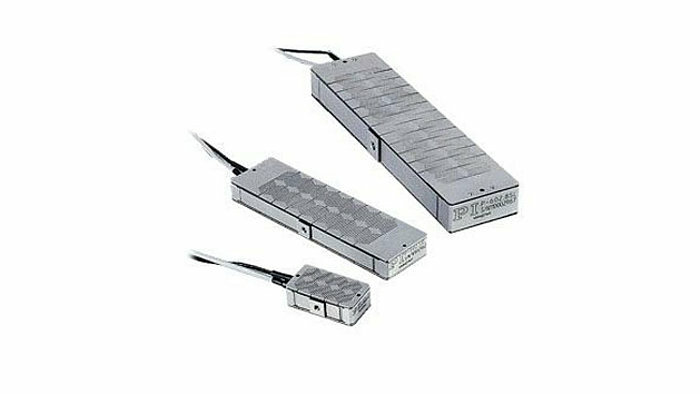 Applications: Piezo actuators can provide high forces and virtually unlimited positional resolution down to the sub-nanometer range. 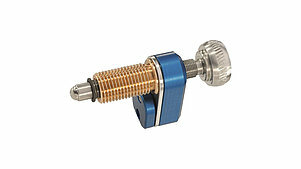 They make for ideal “OEM motion engines” in fields such as biotechnology, nano-dispensing, microfluidics, fast switching and valve control, nanopositioning, optical alignment, microscopy, medical-devices, and life-sciences.. 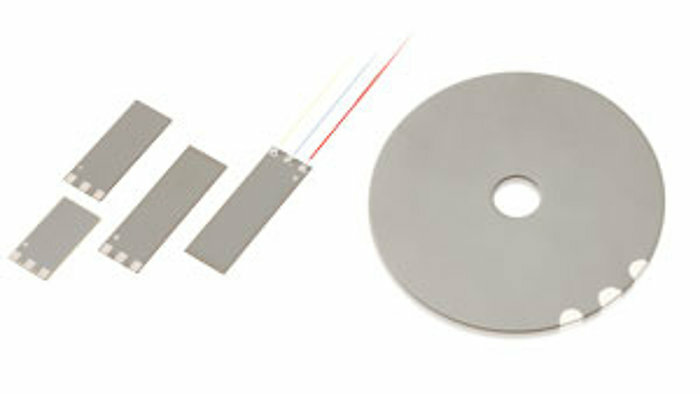 These high force piezo actuators are designed with stacks of discrete piezo disks made from “hard” PZT formulations. They are encased and preloaded to handle high push/pull forces. 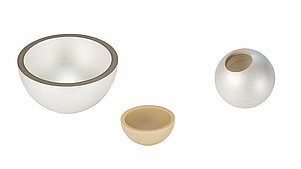 A variety of models with piezo ceramics diameters of 16, 25 and 35mm are available for different load requirements. 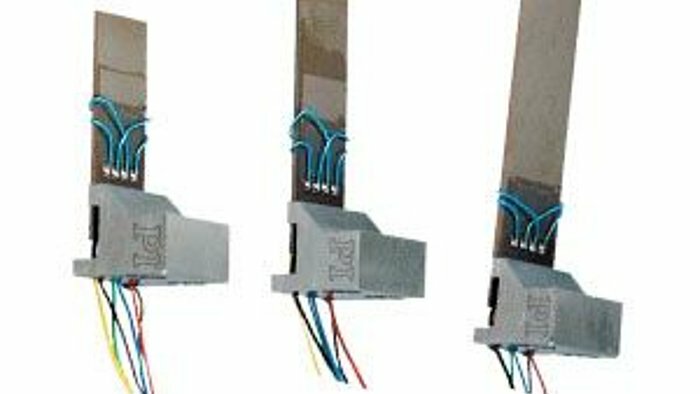 Applications: These piezo actuators provide high forces and wide temperature ranges: some models up to 200 degrees C. They are used in high-performance optics and laser applications, precision machining, and downhole applications. 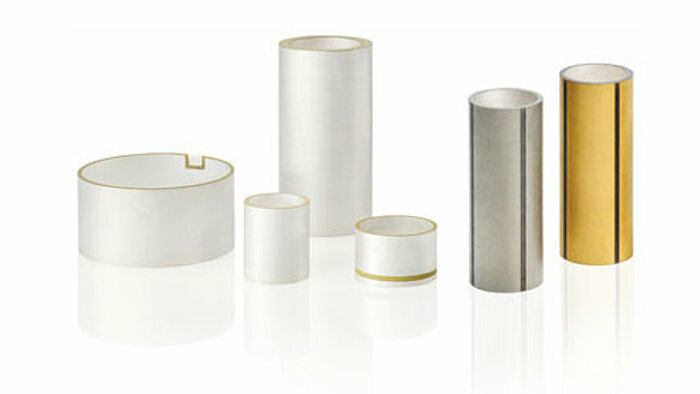 These piezo stacks and chips are manufactured based on multilayer cofiring technology at PI’s piezo ceramics division PI Ceramic. The patented design comprises an all-ceramic outer layer of the actuator, which acts as insulation making them more durable. The lack of conformal coating is an advantage in high vacuum applications. 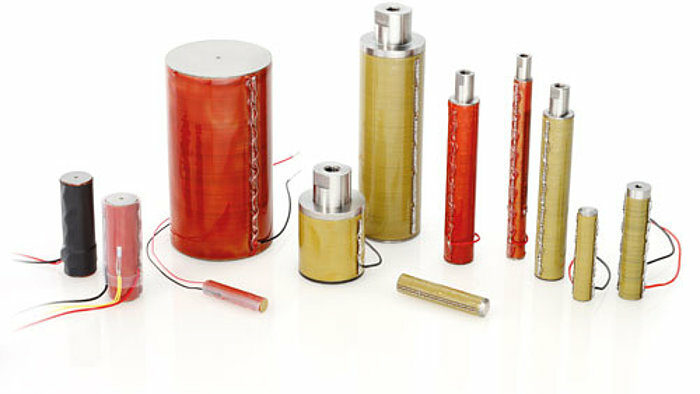 Hermetically sealed versions with inert gas filling can be used in harsh environments. 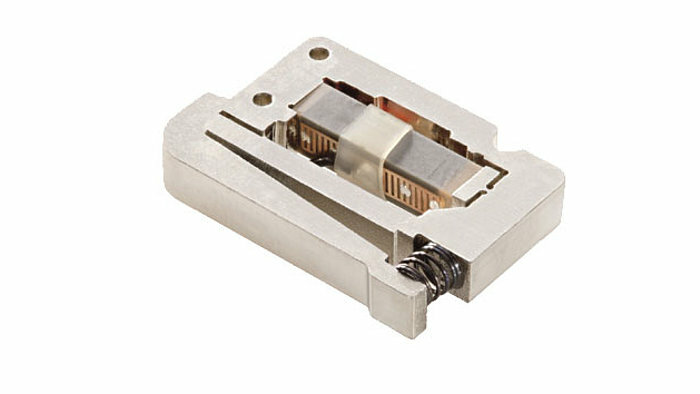 Applications: Piezo actuators provide high forces, unlimited resolution in the sub-nanometer range and are ideal for OEM applications in biotechnology, nano-dispensing, microfluidics, valve control, fast switching and nanopositioning, optics, medical-devices, life-sciences. PICA piezo stacks are built from discrete piezo disks made from “hard” PZT formulations. 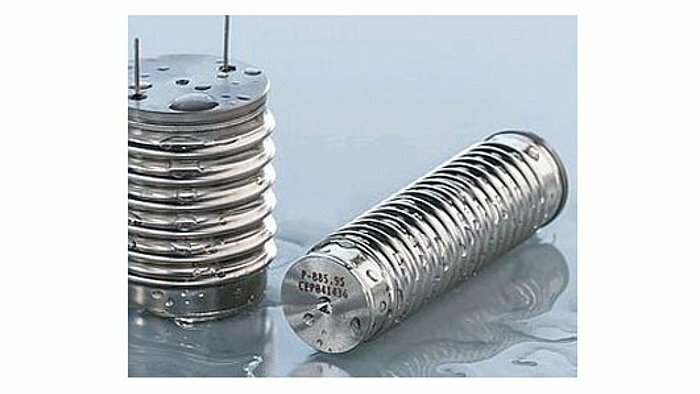 They are available in a large variety of diameters and shapes for different load requirements and applications. 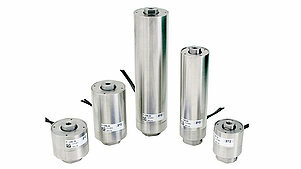 Discrete actuators are well suited for customizations, even in smaller quantities. 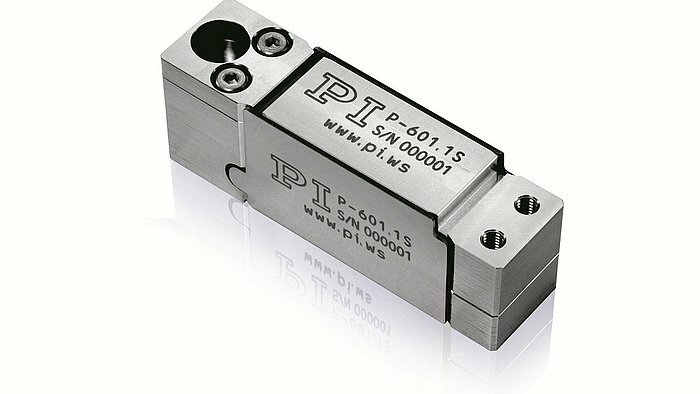 They can operate under temperature ranges, some models up to 200 degrees C. They are used in high-performance optics and laser applications, precision machining, and downhole applications. 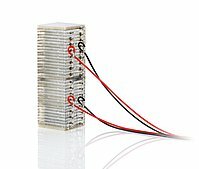 Crystalline piezo materials can provide extremely high linearity which is an advantage for high dynamics applications – no need for feedback sensors and closed-loop circuitry. The improved linearity comes at the expense of displacement. 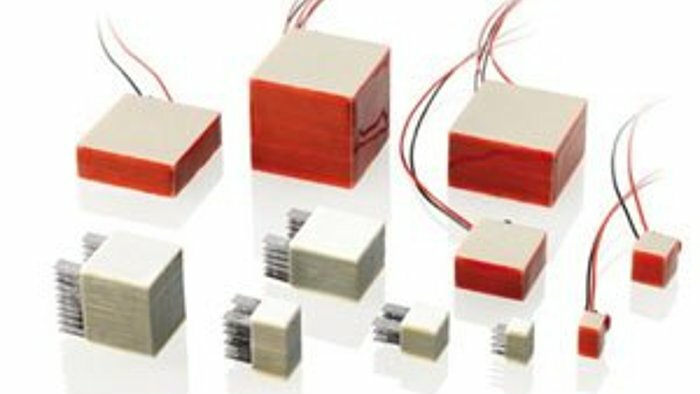 Bimorph, unimorph and multimorph bending mode actuators make use of different layers of active and non-active materials. Lateral motion created by the d31 effect is amplified multiple times. The advantage is relatively large amount of motion (100’s of microns to millimeters) in a very compact, low profile package. With the extended motion comes a trade off in force and stiffness. 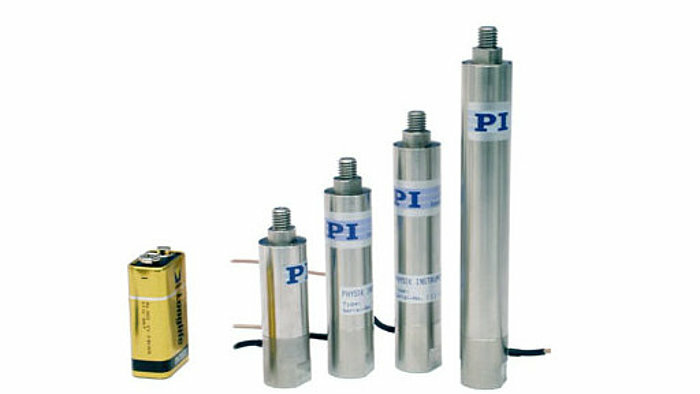 PI manufactures multilayer (low voltage) and discrete bimorph bender actuators in different standard and custom shapes. 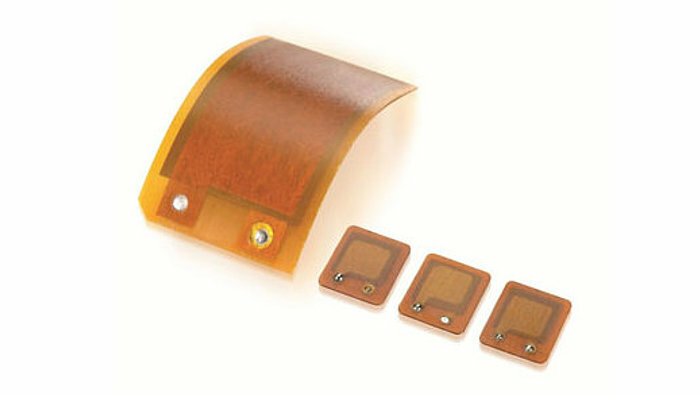 DuraAct® patch transducers are laminated and provide great flexibility with bending radii to 12mm. They can be used as senor in structural health testing and as actuator at the same time. 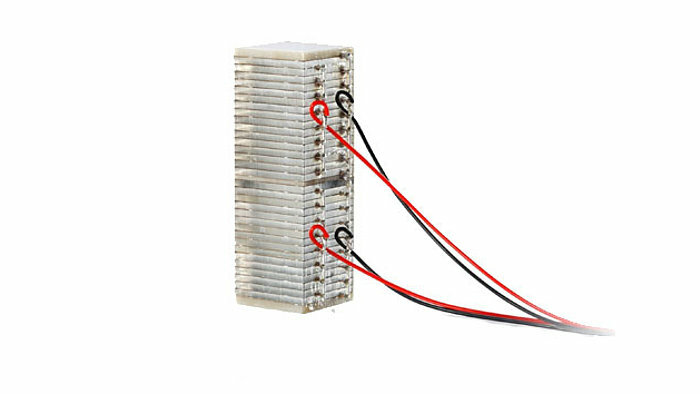 Another version based on longitudinally oriented multilayer piezo ceramics (DuraAct Power) uses the high-efficiency d33 effect with reduced operating voltage. Traditional PZT tube actuators are often used in scanning microscopy applications, fiber-optics, and nano-dispensing. 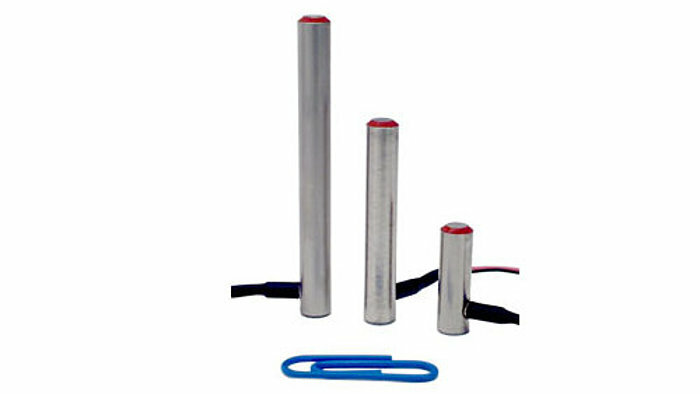 When a voltage is applied, the tube shrinks radially and axially proportional with the voltage. Due to the low mass they are very fast, but cannot support high loads. 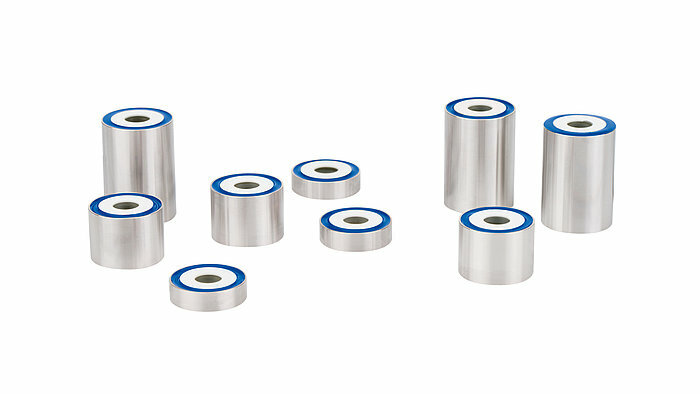 For high-load applications and when axial motion is required, the P-080 multi-layer tubular stacks are recommended, or the PICA Thru discrete tubular stack family, for extra high loads. 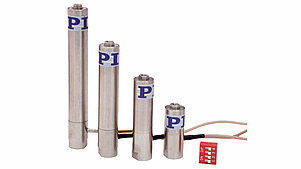 PICA Shear actuators can also be used in lateral scanning applications. 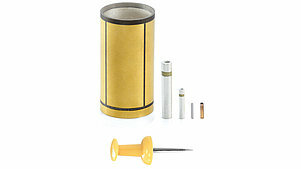 They are more robust than scanner tubes and come in single axis to XYZ configurations.